Kuniyoshi "KUNY" NAKADA (7L1FPU,JG0VCM,W1FPU,AH0BT) and his XYL visited Hong Kong on 26 Jan 09 for a three days tour for the purpose of commemerating their 10th year wedding. By chance, Kuny help me to bring along four trap coils for my Create 318jr, which have problem earlier, thanks Kung for your help! 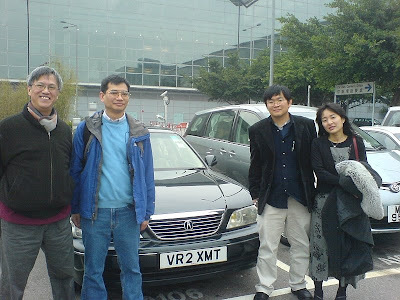 I met them, as well as Logan, VR2XRW in the Chek Lap Kok Airport and drove the couple to the hotel in Hung Hom. Now Kuny already back home and look forward to meeting him again next month. He planned to come again with his two friends in February. We start to work after three days of Chinese New Year holiday, our office is invited a Lion Dance to celebrate and wish for prosperous year of OX. 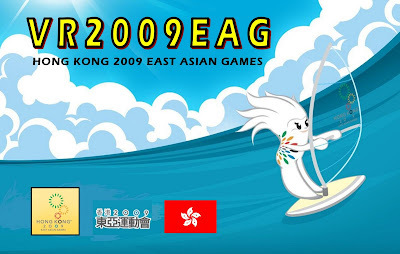 To commemorating Hong Kong 2009 East Asian Games, our Radio Club, Hong Kong Amateur Radio DX Association (HARDXA) is scheduled to activate a special event call sign VR2009EAG later this year to celebrate the 5th East Asian Games to be held in Hong Kong from 5-13 December 2009. 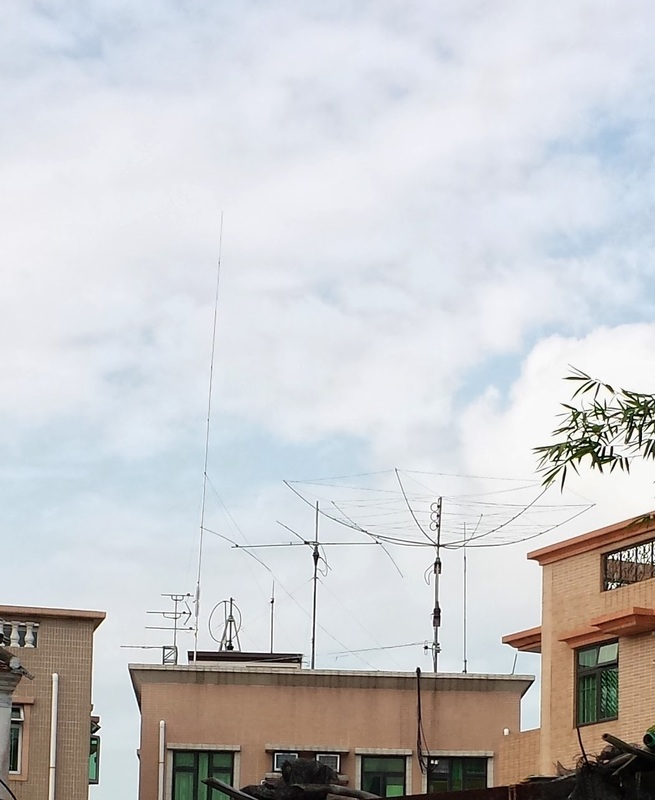 Operations will be primarily HF from 7MHz through to 28MHz and VHF on 50MHz, modes operated shall be primarily SSB, RTTY and PSK31. 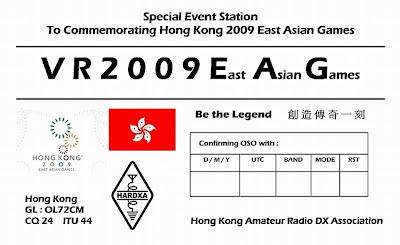 The QSL card is being designed and will send out to printer shortly. On 2 Jan 09, we spent several hours to tour the world-class cable car “Ngong Ping 360” in Lantau Island, Hong Kong. Ngong Ping cable car is a visually spectacular 5.7km cable car journey, travelling between Tung Chung Town Centre and Ngong Ping on Lantau Island. We enjoy very much on the panoramic views of the Hong Kong International Airport, South China Sea, the Tian Tan Buddha Statue, as well as North Lantau Country Park. Pansy and I visited the Wet Land Park on 31 December 2008. The park is located at the northern part of Tin Shui Wai, New Territories, Hong Kong. The mission of the Hong Kong Wetland Park is to increase the public awareness, knowledge and understanding the values of wetland throughout the region.